Euro rebounded from the level of 78.6% twice, which makes a possibility of a new descending movement even stronger. In addition to that, the price is facing the resistance from the level of 138.2%. If Euro continues moving downwards, I’m planning to open some more sell orders. 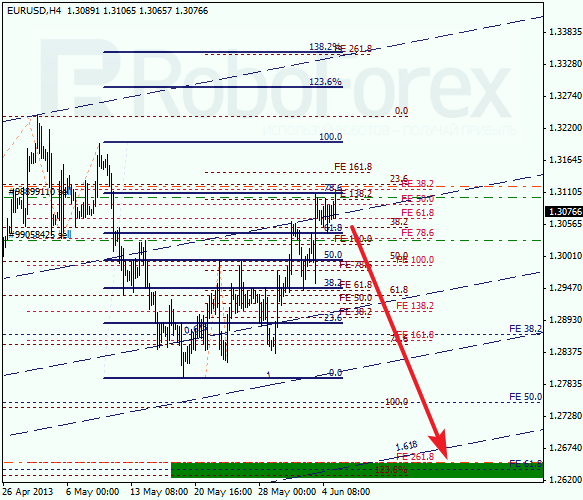 At the H1 chart, the pair is consolidating and the bulls are not strong enough to continue pushing the price upwards. If the pair is able to keep he price below the level of 38.2%, the bears will return to the market. According to the analysis of the temporary fibo-zones, the target area may be reached in the beginning of the next week. Franc continues moving near the level of 61.8%. If the market rebounds from it, the pair will start moving upwards again. Later the price may break the maximum and reach the level of 0.9950. 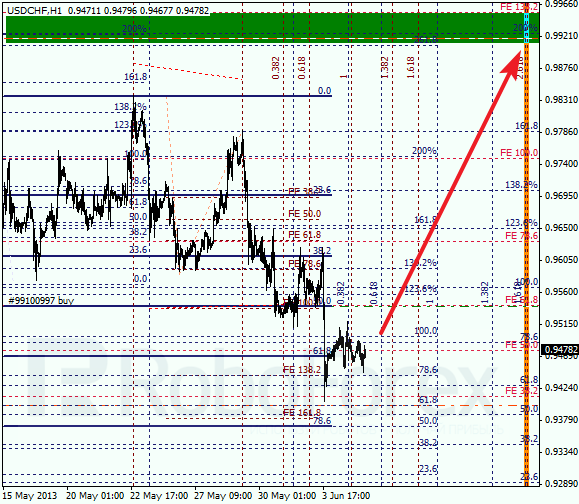 At the H1 chart, the pair is being corrected. If the market breaks the latest maximum, the price will start a new ascending movement. According to the analysis of the temporary fibo-zones, the price may reach predicted targets by next Monday of Tuesday.